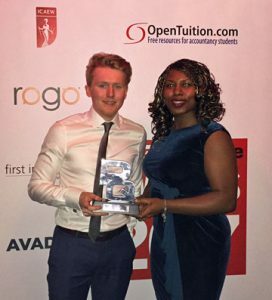 NCASS – Northern Chartered Accountant Students’s Society – were crowned Student Body of the Year 2017 at a national awards ceremony in London on 21 February. NCASS is the official body that represents ACA students under ICAEW training contracts in the Northern Society of Chartered Accountants area in the North East of England and Cumbria. They have been supporting student chartered accountants across northern England since 1896. The society is run by ACA student volunteers for ACA students and has an active committee with representatives from a large number of firms. The award was part of the 2017 PQ Magazine Awards, run by PQ Magazine and the awards were made at a gala dinner at Cafe de Paris in London. Speaking about reaching the final Katie Taylor, NCASS Chairman (National Audit Office), said “I’m thrilled that we have made it onto the PQ shortlist. NCASS is a fantastic society to be a part of, with a voluntary committee which, through hard work, is dedicated to support and represent ICAEW students in our region. Of course being shortlisted is excellent, but if we were to win it would be the ultimate accolade”. Katie’s hopes were supported by the rest of the NCASS committee and committee members Ian Cameron (ICAEW Student Council Representative – National Audit Office) and Sandra Nwanze (Committee member – PricewaterhouseCoopers) collected the award on behalf of NCASS. Other award categories in the PQ Magazine Awards included Accountancy Body of the Year. The national institutes were all competing for this award which was won by ICAEW. NCASS is now looking forward to its next big event – their Annual Black Tie Dinner which is to be held in a new venue of the Wylam Brewery, Exhibition Park, Newcastle upon Tyne. The dinner is being sponsored by Newcastle University Business School and Nigel Wright Recruitment and proceeds from the evening will be in support of St Oswald’s Hospice, Newcastle. All of the tickets for the event on 24 March 2017 have already been sold. 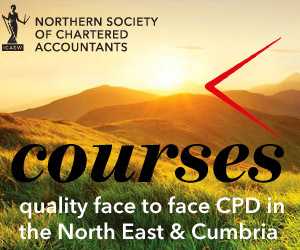 The Northern Society of Chartered Accountants (NorSCA) represents 4,000 ICAEW members and ACA students working in business and the finance profession across the North East of England, Teesside, Northern Yorkshire and Cumbria.